Although it’s essentially a ForEase with a top, the ForEase+ concept stands out thanks to a couple of new features too. First up, it has a new exterior point. Called Matt Soft Coal, it’s a light shade of grey that’s a bit darker than the silver seen on the ForEase. 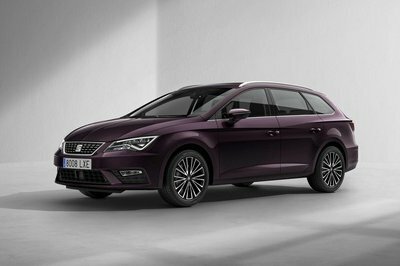 More importantly, the ForEase+ doesn’t have a two-tone color scheme like its predecessor. While the ForEase had light silver on its front section and door and a darker silver on its rear section and side skirts, the ForEase+ is matte grey from bumper to bumper. The colored accents are also different, with the green seen on the ForEase changed to amber on the ForEase+. 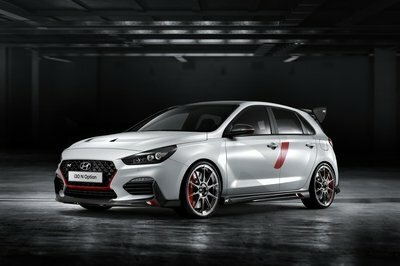 These highlights are visible in the same places, like the vents in the front bumper, the wheels, the rear diffuser, and the badge on the rear fascia. However, while the ForEase had only one green rectangle on each wheel, the ForEase+ has three amber-painted elements on each rim. Finally, the mirror caps are black instead of body colored. Of course, it’s the soft-top that stands out here. Also painted in amber, it’s made from a light but firm fabric hard shell covered in a softer textile material. The roof extends all the way to the rear, covering the hoops seen on the ForEase. Remove the soft-top and these become visible again, turning the ForEase+ into an authentic speedster. Unlike most roadsters though, the ForEase+ doesn’t have a folding mechanics, so the roof is only removable as a full panel. Just like the ForEase, the ForEase+ features an integrated ducktail spoiler in the back, as well as a sporty diffuser with three vertical fins. It has LED lights at all four corners, aerodynamic rims, and a sun visor over the shortened windscreen. The latter pays homage to the ForStars and FourJoy concepts from 2012 and 2013, respectively. Once again, the ForEase+ is pretty much identical to the ForEase inside the cabin. save for the colors. While its predecessor had a white dashboard and silver accents on the seats and door panels, the ForEase+ features amber detailing on most surfaces. And these surfaces are as premium as they get. 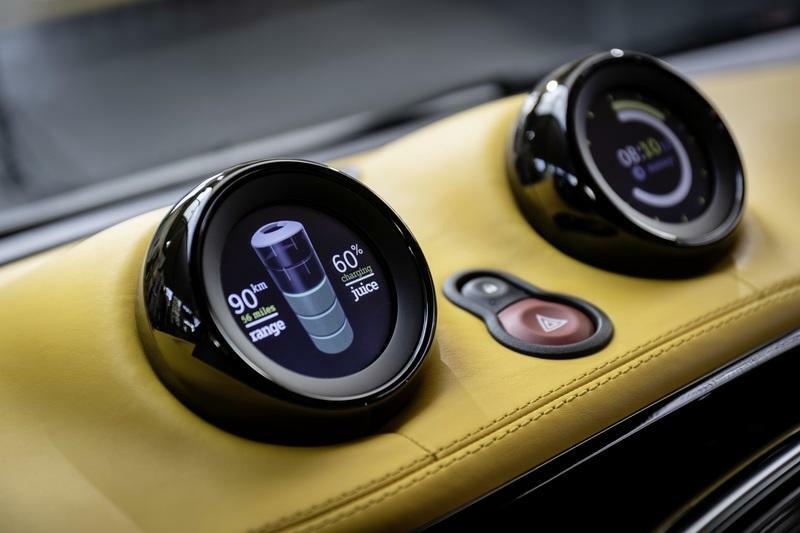 The amber dashboard is covered in Nappa leather, while the seats are dressed in black Nappa leather and microfiber. More microfiber, this time in Anthracite, can be seen on the steering wheel, which also has amber accents. There’s more Nappa leather on the center sections of the door panels, microfiber on the door sills, and amber surrounds for the speakers. The illuminated seat belt outlets round out this small but appealing cabin. A big downside is that despite having a roof, the ForEase+ doesn’t have side and rear windows. 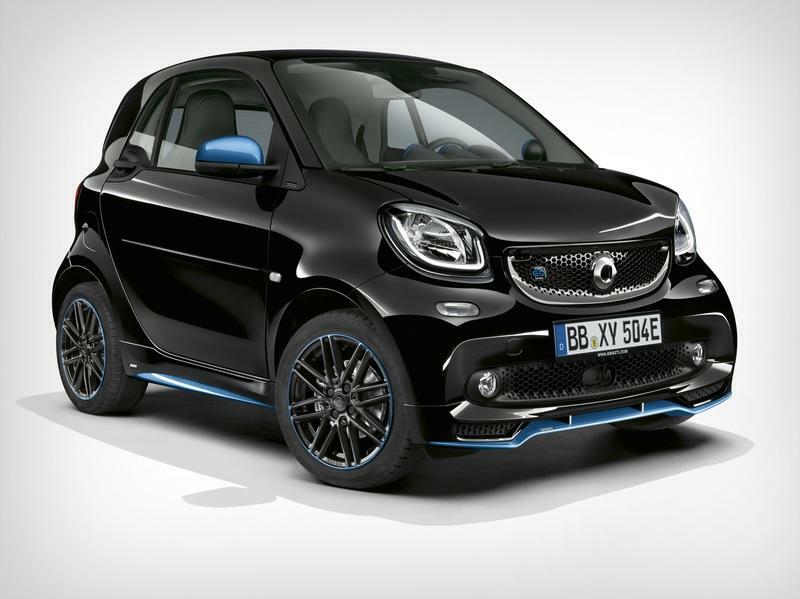 Smart says it didn’t add any in order to ensure "a pure driving experience," but this is far from practical. Driving this car in rainy or windy weather would be a big problem. On the other hand, it’s just a concept so it will probably spend its life in showrooms and museums. 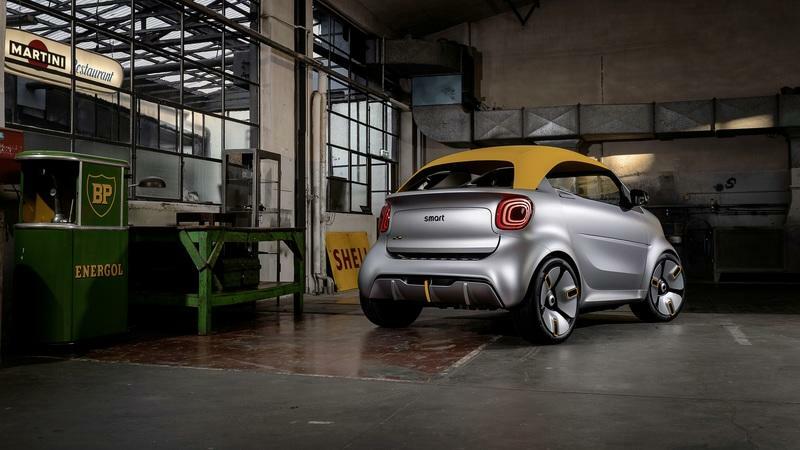 Under the shell, the ForEase+ is a Smart EQ ForTwo Cabrio. 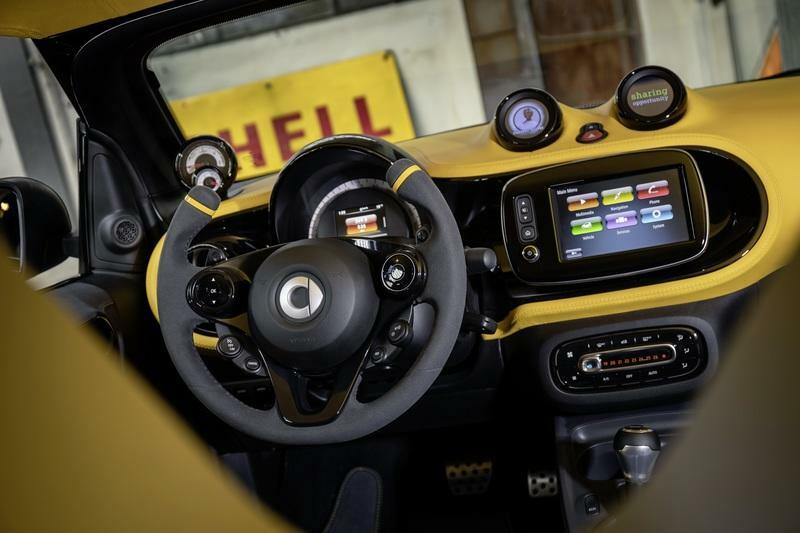 This means it feature the all-electric drivetrain of the production car. 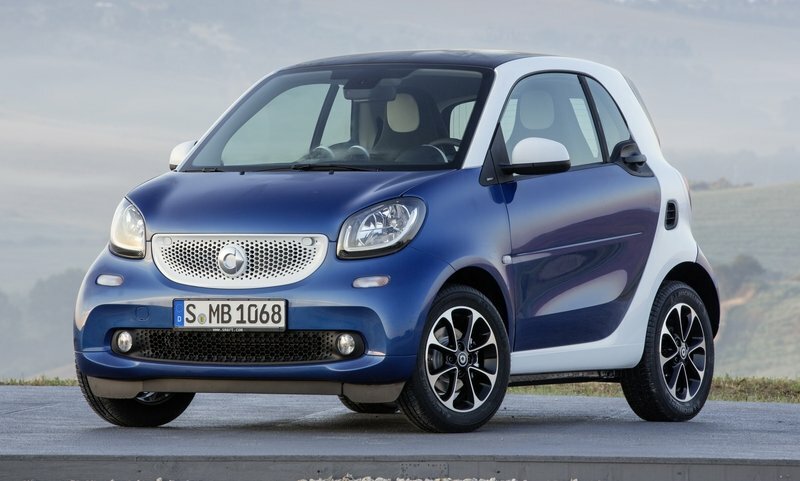 As a reminder, the EQ ForTwo employs an electric motor that sends 82 horsepower to the rear wheels. In this setup, the tiny city car needs 11.8 seconds to reach 62 mph and hits a top speed of only 81 mph. 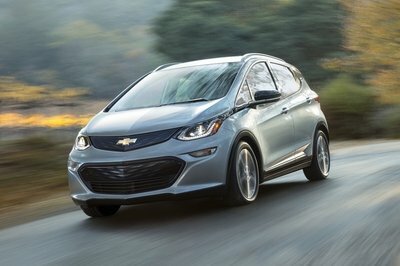 The 17.6 kWh battery provides 70 miles of range when fully charged. This is far from spectacular given that we can buy production cars that return more than 200 miles per charge, but we must not forget that Smart produces really small city cars that aren’t intended for highway or inter-city use. 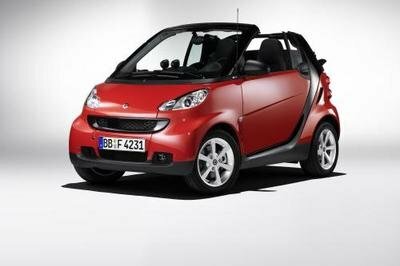 The reason why Smart dropped an electric motor in this car is only to make a point that by 2020 it will have electric cars only. This means that you’ll be able to buy gasoline Smart vehicles for a little more than 12 months. 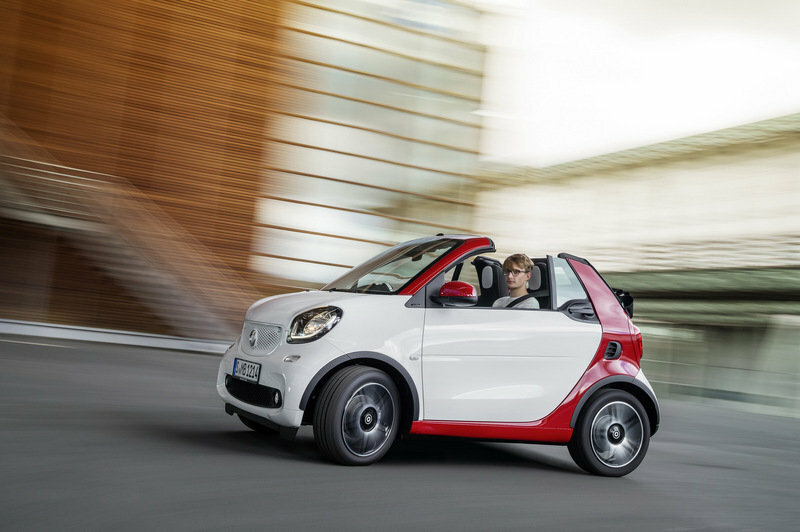 When the shift is complete, Smart will become the first carmaker to completely change over from combustion engines to electric drives. While some concepts preview upcoming models, designs, or technologies, some are just show cars that do no evolve into anything. The ForEase+ is one of those concept. 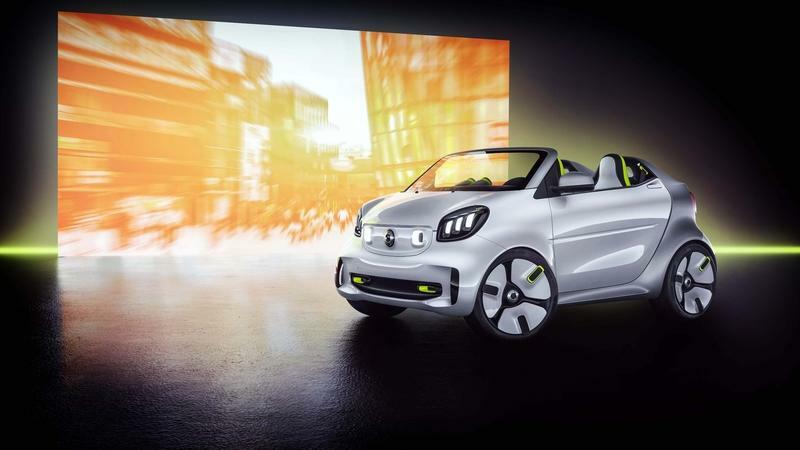 Although it would make for a nice speedster-type production model, it’s pretty obvious that Smart isn’t interested in adding a new version to the ForTwo lineup. It doesn’t even previews Smart’s upcoming switch to EV drivetrain either. The German firm made a few statements about this in the past and the switch would have happened with or without the ForEase+. While it’s an interesting idea as far as body style and upholstery go, we will soon forget about the ForEase+ because it’s far from spectacular. 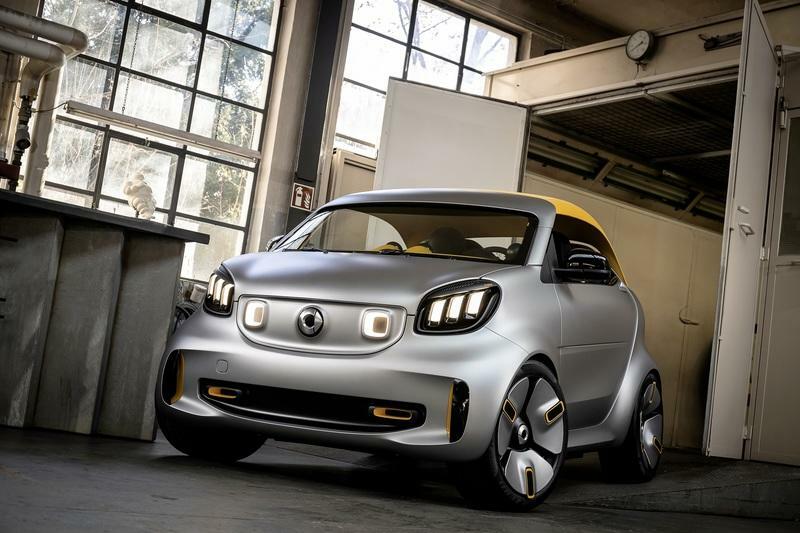 The smart forease+ logically develops the predecessor’s minimalistic idea with additional form and function. Its flat fabric roof that extends far towards the rear turns the showcar into a cosmopolitan with classic speedster attributes. Drawn down deeply and only just about reaching over the two characteristic domes on the rear, the roof demonstrates what the designers call #rooflove: a completely new look. The roof’s construction demonstrates a loving attention to detail. A light yet firm fabric hard shell covered in a textile soft top fabric combines many benefits. It is light, robust and yet suitable all year round. The roof is designed to be removable and engages in two cut-outs on the rear which provide an apt reference to the model designation with the "+ push" lettering. The designers have underscored the showcar’s high emotionality and the special driving feel with many additional features. Even when stationary, the showcar demonstrates its agility with its long ducktail - the spoiler element reminiscent of a duck’s tail - the expressively modelled shoulder line and the flat window section. The sun visor over the short windscreen additionally makes the sideline appear lower. 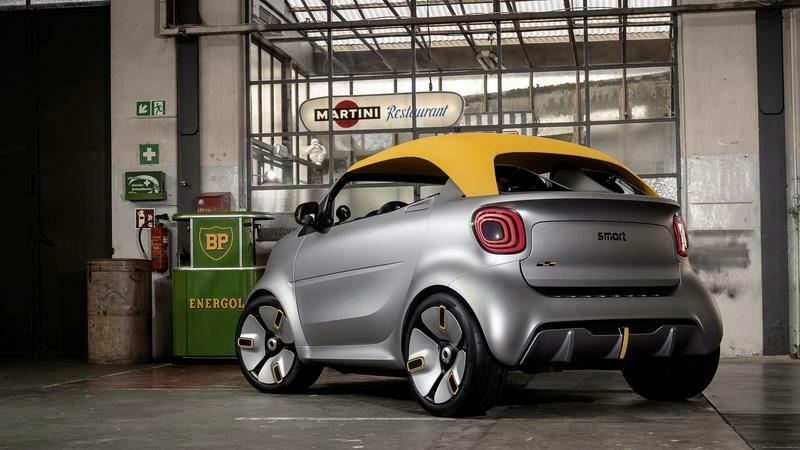 Apart from its direct impact on the car’s design, it is also a homage to earlier showcars such as the smart forstars (2012) and the smart fourjoy (2013). 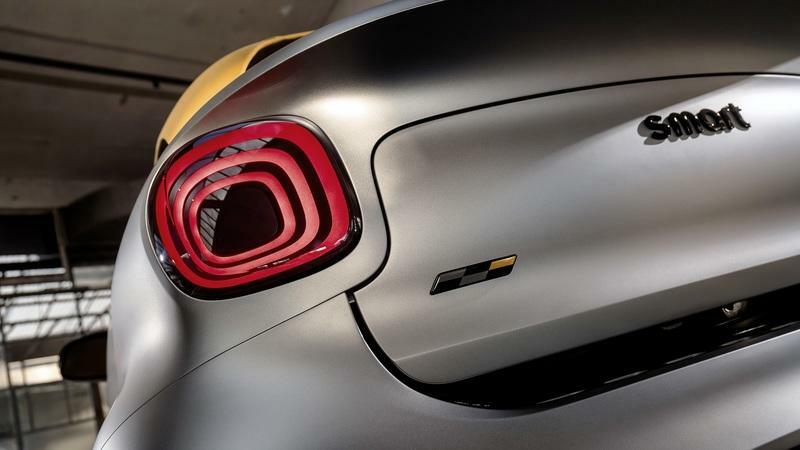 The showcar’s rear lamps provide a further visual and technical highlight. In the rhombic basic geometry familiar from the series production model, several LED light elements multiply the number of contours and thus provide for a particular feeling of depth beneath a high-quality glass cover. This gives rise to an ever-changing light graphic, depending on the viewer’s perspective and position. Meanwhile, a particular feeling of width emanates from the smart forease+ rims. 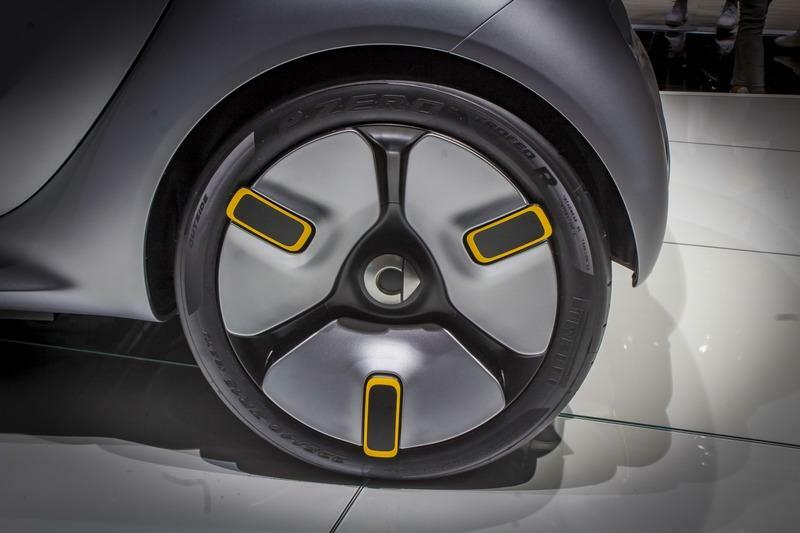 The aerodynamically designed rims ensure that the smart hugs the road. 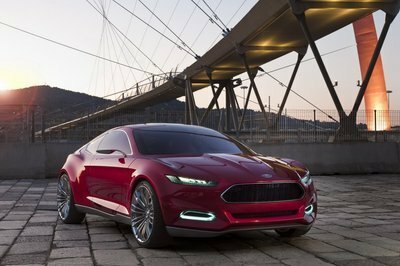 With their clear electric look the wheels underscore the clear commitment to the brand’s electric future.